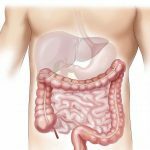 Have You Heard of the American Gut Project? 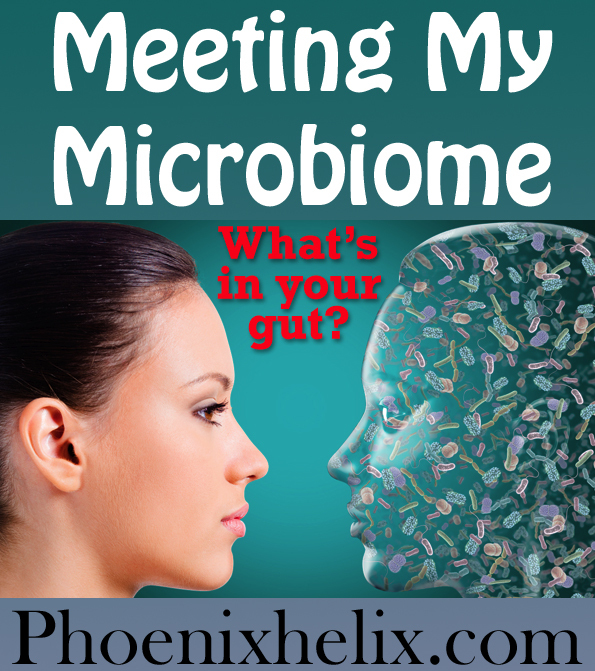 It's the largest scientific exploration into what lives inside the human gut ever, otherwise known as our microbiome. These are the trillions of microbes (and their genes) that live inside us and affect the function of every cell in our bodies. 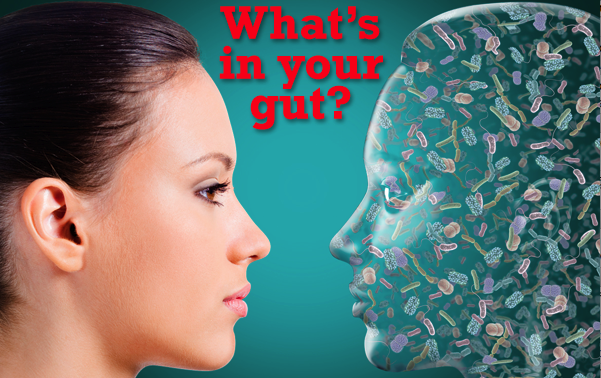 Did you know that 90% of your body is made up of microbes? We are only 10% human. And when it comes to genetic material, we are only 1% human, having 99 microbial genes for every one human gene. It's mind blowing to realize, but it also explains how diet and lifestyle affect our health so dramatically. Back in 1999, when scientists sequenced the human genome (the 1%), they expected to make major scientific advances, essentially curing all disease. That didn't happen. In fact, they discovered that the human genome was simpler than expected and didn't really explain disease at all. More recently, they learned that healthy people have an average of 400 genetic defects, including ones for diseases they don't have. How is this possible? In elementary school, we were taught that our genes determined our health. Clearly, that's not true, at least not for human genes. The microbiome has been called the second genome, and the American Gut Project seeks to sequence and understand it. Over 6,000 people have sent in personal samples, and the project is still open to participation, which means you can discover what's in your gut, too. You'll get a personal report like the ones I'll share in this article, but more importantly, you'll be contributing to a cutting edge research that is the first step to potentially understanding (and finding the cure) for countless diseases. This research is in its infancy, so it will be a while before that goal is achieved, but what an important goal! A few facts about me: I have rheumatoid arthritis. When this sample was taken, I had been paleo for almost a year and on the autoimmune protocol for 4 months. I eat low-starch also (based on GAPS diet principles) but not low-carb. The bar chart: The column on the left is my microbiome. The columns in the middle are the average microbiome balance for everyone in the study, as well as people of similar age, weight, gender and diet. (Although by diet, they mean omnivore, not paleo.) 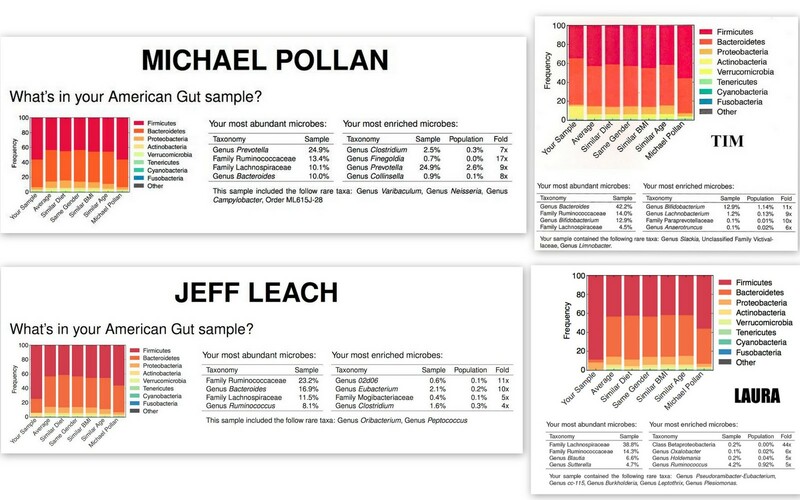 The column on the far right is the microbiome of writer and food activist, Michael Pollan, who eats a grain-based omnivore diet. Drawing conclusions: This is very new science. They haven't even identified all the microbiota yet, never mind discovered all the ways they function in our bodies. As I analyze my chart and point out certain facts, I can pose some theories about what it all means, but keep in mind, they're only theories. Still, I find the whole field fascinating. Major bacteria groups: There are 2 groups of bacteria that make up the majority of the human gut: Firmicutes and Bacteroidetes. On average, people have about 50% of each. You can see that I have far more Bacteroidetes. Some people say this is good, because the reverse ratio has been linked to obesity. I would have guessed this was a result of the paleo diet, but Jeff Leach, one of the leaders behind the American Gut Project, eats a paleo diet and has the reverse ratio (far more Firmicutes than Bacteroidetes). Jeff says that the Firmicutes-obesity connection is outdated. Their research is showing a wide variety of ratios between these two groups of bacteria, with no connection to weight. The first step toward knowledge is unlearning what you thought you knew. Inflammatory bacteria: The next group of bacteria on the chart is Proteobacteria, which has been linked to inflammation. It's the light orange bar, and I have less of this than average, which I take as a very good sign. Month by month, I have felt the inflammatory pain in my body reduce. If I had taken a gut sample when I was first diagnosed with RA, before dietary intervention, I'm guessing my Proteobacteria count would have been much higher than average. In fact, there's another American Gut result available on Healing Hacker that shows a woman with RA who, to my knowledge, doesn't eat paleo, and she does have a higher than average amount of this bacteria. The American Gut Project has found that people who eat a paleo diet generally have less Proteobacteria than others. Missing diversity: The other notable difference of my microbiome compared to the others is that I don't have enough Actinobacteria or Verrucomicrobia to show up on my bar chart. While these aren't abundant in the comparison columns, most people have at least enough to register. I came to paleo through the GAPS diet first, which posits the theory that an overabundance of certain bacteria in the colon causes inflammation and susceptibility to autoimmune disease. A low-starch version of the paleo diet starves these bacteria, with the goal of restoring balance. Here's the catch. Every group of bacteria contains both beneficial and pathogenic organisms. When I starved out the pathogens, did I also starve out some of the beneficial ones? Maybe so. 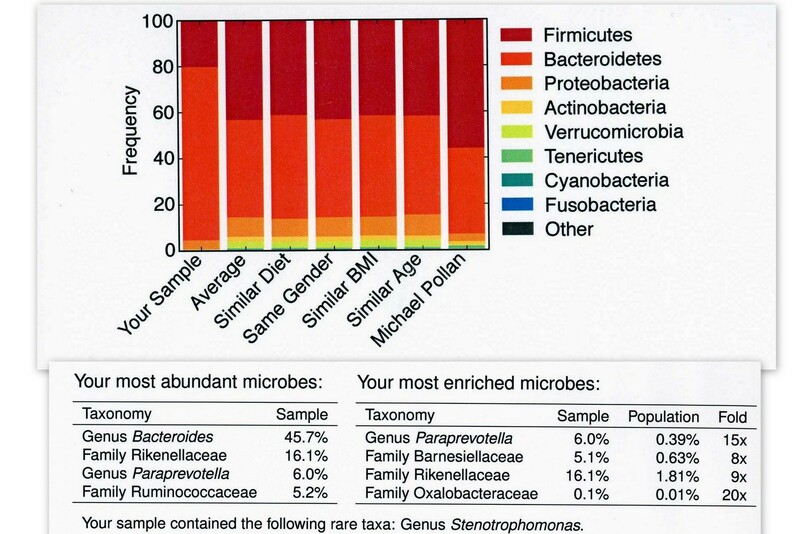 Abundant, enriched and rare: In addition to the bar chart, American Gut gives you the names of your most abundant, enriched and rare microbes. 6% of my sample is Paraprevotella (which is 15x more than average). It's in the same family as Prevotella, one of Michael Pollan‘s abundant microbes. Jeff (from American Gut) says that this family of bacteria is connected to grain consumption (Michael) but also autoimmune disease (me). Of course, this makes me think about Loren Cordain's theory that grain consumption can trigger autoimmune disease. Michael is healthy, but I ate grains for my entire life before RA got triggered in my body at age 43. I stopped eating grains a year before this sample was taken. I wonder if this number would have been even higher before I changed my diet. 5% of my sample is Ruminococcaceae. This is a common family of microbes, across a wide variety of diets and health issues. Its presence doesn't really indicate anything special. I have 20x more Oxalobacteraceae than average. Laura Scheonfeld has the only published report that shows a similar abundant microbe. This bacteria is connected to the successful digestion of oxalates, which is a good thing. Some people with autoimmune disease have trouble with oxalates; I never have, and this is probably why. Earlier in this article, I mentioned that every group of bacteria has both beneficial and harmful organisms within it. While Proteobacteria has been associated with inflammation, that doesn't mean all Proteobacteria are inflammatory. In fact, Oxalobacteraceae are in the Proteobacteria family and help prevent kidney stones. Another beneficial Proteobacteria is Acetobactor (present in all vinegars and kombucha). Lesson? It's more important to have the good guys in every category, than try to eliminate a category altogether. I have 8x more Barnesiellaceae than average. One study found that this bacteria is effective in fighting off antibiotic-resistant infections. Sweet! I have 9x more Rikenellaceae than average. I could find no information on this one, and it didn't show up on anyone else's published reports, so it remains a mystery. I also have one rare kind: Stenotrophomonas, which is a Proteobacteria. Due to its rarity, very little is known about it. Yeast remain a mystery. Bacteria compose the vast majority of the human microbiome, and that's the focus of the American Gut Project. However, other microbes live in the gut as well, including both harmful and beneficial yeasts. Sadly, they don't yet have the technology to successfully sequence yeast at this time. People on a SAD diet usually have an overabundance of candida (a harmful yeast). My hope is that I have an abundance of beneficial yeasts, since I eat fermented foods daily (which contain them). I would have loved a snapshot of the yeast balance in my gut as well. Someday. A few facts about my husband: He was given penicillin daily for approximately 10 years as a child. He was born with a heart murmur, and they feared the potential for a life-threatening infection. It turns out this was an unnecessary fear, but it was standard treatment back then. Not surprisingly, he's had digestive problems ever since. He eats about 80% paleo now, but snacks on SAD foods at the office. Pathogen alert? 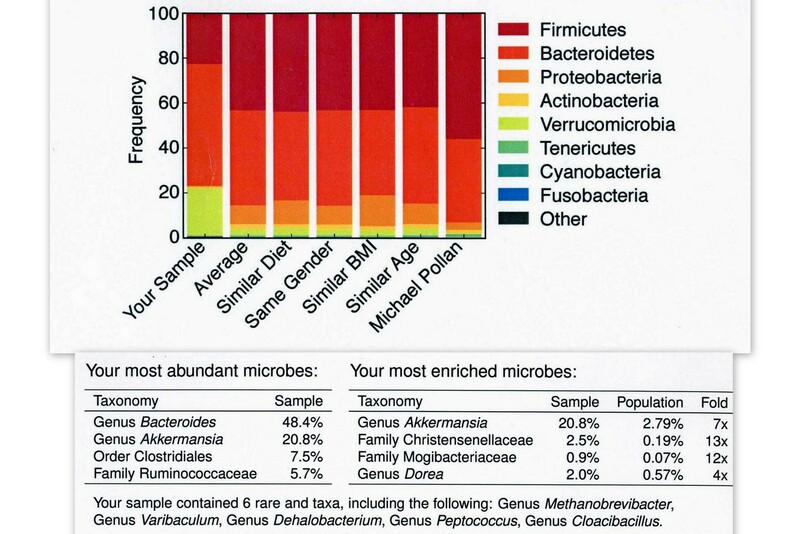 Looking at his bar chart, he has a large amount of a group of bacteria that is minimally present in most people's microbiome: Verrucumicrobia. Looking at his abundant microbe list, Akkermansia comprises 20% of his microbiome (7x more than average). It's a member of the Verrucumicrobia phylum and apparently accounts for entire green stripe in his column. In small quantities it likely plays a beneficial role in the balance of the microbiome, but in large quantities, it can pose problems. It's a “mucin degrader“, which means it eats the mucus lining of the colon. in high numbers this could irritate the intestinal wall and leave it susceptible to permeability and/or infection. My theory is that years of penicillin use allowed this opportunistic bacteria to take root. In addition, he has one rare bacteria that is also usually a pathogen: Peptococcus. Learning about inflammation. If you look at his chart, you'll also see that he has no measurable Proteobacteria at all, the bacteria group most closely linked to inflammation. Does that mean he doesn't have inflammation? No. He has rosacea, osteoarthritis and borderline high blood pressure, to name just a few. This shows that more than one bacteria group is connected to inflammation. For him, it might be the overabundance of Akkermansia. An abundance of Clostridiales. This is typical for someone his age (63), and contains many beneficial species, as well as a famously harmful one: C. difficile. That said, they have found that if you have a diverse population of this group of bacteria as a whole, you are less likely to develop a C. difficile infection. So the good guys in the group keep the bad guys under control. Hopefully that's happening for him. He has 13x more Christensenellaceae than average, which is in the Clostridiales group. However, little is known about it. Here is Michael Pollan's report in more detail, and here's his article in the New York Times about the project overall, and his experience. One interesting experiment they did was take a sample before and after he did a “preventative” course of antibiotics prior to oral surgery. The result was a dramatic decrease in the diversity of his microbiome, with less bacteria considered to be healthy and more bacteria connected to inflammation. 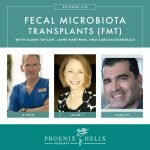 Here is Jeff Leach's report in more detail, and here's an interview he did with Chris Kresser about the American Gut Project. As a scientist, Jeff is much less likely to draw conclusions from his report. He sees all this data as just the start of understanding the microbiome. However, he personally makes an effort to eat 20-30 different species of plants every week. Why? Because the fiber in plants feeds the microbiome, and he figures the more diverse the type of fiber, the more diverse the bacteria he is feeding. He also doesn't eat fermented foods, saying that his microbiome is higher in Lactobacillus and Bifidobacterium than people who eat fermented foods and don't get enough fiber. In his opinion, prebiotics (foods that feed bacteria) work better than probiotics in shaping the microbiome. Free the Animal shared the results of “Tatertot Tim”, a man who had been on a primal diet for 2 years and supplementing with resistant starch for 6 months. He started RS supplementation after reading research which linked resistant starch with colon health, improved cholesterol, better glucose control, and weight loss, and indeed he saw improvements in all of these areas. Then, he started wondering if it was changing his microbiome, so he sent a sample to American Gut. His report shows an abundance of Bifidobacteria (11x more than average). That is far more than any other published report I've seen. I would say Tim has proven that his RS supplementation is having a strong effect. The question is whether it's a good one longterm. Bifidobacteria is one of the most studied bacteria, and it's definitely beneficial. But is it better than the bacteria we don't know as much about? Where Jeff is feeding diverse bacteria from diverse whole foods sources, Tim is targeting specific bacteria with a supplement. I'm not saying he's wrong to do so; I'm saying the science is too new to know which method is better. Healing Hacker shared 3 generations of results: her mother, herself, and her son. Her mother has rheumatoid arthritis. She has Raynaud's syndrome. Her son has asthma and eczema. I don't know anything about their diet. It has been theorized that a lot of our microbiome is established in infancy, and biological families have similar microbiomes. Healing Hacker shows that isn't true, at least not for them. Their microbiomes are very different from each other. Eileen Reintroduces Starchy Vegetables: Now that my husband and I have our reports, we have the option of trying to address some of the imbalances it revealed. When I began paleo 18 months ago, I adopted a low-starch version of the diet, based on GAPS diet principles. Since I improved, I stuck with it, never testing whether avoiding starches was a necessary part of the protocol. Chris Kresser, Sarah Ballantyne and Paul Jaminet have all expressed concern about avoiding starches long-term. The risk is that by starving the harmful bacteria, I have also starved some beneficial bacteria (which may be why I have no Actinobacteria on my bar chart). 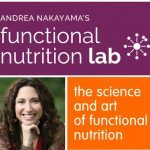 Some of the most well studied beneficial probiotics are part of this group, and even though I eat fermented foods daily, they're not a measurable part of my microbiome. While I can geek out on all this science, I'm a practical girl at heart. I'm paleo because I have rheumatoid arthritis, and it's reduced my pain by 95%. Some people (like Charles Comey) have found a direct connection between starch consumption and pain flares. It's time for me to test this for myself. I prefer whole foods over supplements, so I'll be reintroducing starchy vegetables like sweet potatoes and green plantains and see how my body responds. If I continue to feel great, I'll reincorporate these starches as food for my microbiome. If my pain increases, I'll return to a low-starch paleo diet. 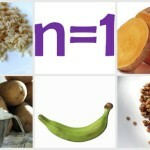 My Husband Tries Resistant Starch. My husband has a very unusual microbiome with a large amount of one kind of opportunistic bacteria, likely caused by years of penicillin use. For this reason, it makes sense to address this imbalance supplementally, and resistant starch is showing promising results in this area. If he can increase his Bifidobacteria (as Tim has demonstrated above), it might displace his overabundance of Akkermansia and resolve the digestive issues that have plagued him his entire life. It's certainly worth a shot. Update 5/25/14: We finished our experiments, and here are the results. You can participate at many levels, from the basic report I received ($99) to an “ultra-deep” and detailed genetic mapping ($25K). They welcome participation from anyone, anywhere, with any dietary background, and any health status. The more diverse their volunteers, the more they'll learn. Credits: Illustration at the top of the page is from American Gut, and the embedded video is from NPR.